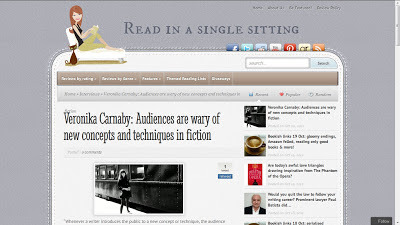 Don't miss Veronika Carnaby's latest interview with Read in a Single Setting, where the author sheds light on her writing process and shares her opinion on the literary market of the past, present, and future. “Whenever a writer introduces the public to a new concept or technique, the audience immediately defaults to a negative reaction. They only come to accept it with the passing of time,” says Veronika Carnaby, author of Bohemia, a novel that chronicles the lives of a group of mid-century twenty-somethings seeking creative fulfilment.